A multimillion-dollar remake of a US historic site across the Detroit River just south of Amherstburg will have Canadian input, and many more Canadian artifacts. The 10-year expansion of the River Raisin National Battlefield – considered the greatest battle of the War of 1812 – is aimed to increase the site’s profile to the level of the Civil War battlefield, Gettysburg. Windsor's Division Road is evolving into a new major retail entranceway. And it leads to the city’s traditional hub of retail, Devonshire Mall. Several years ago, Rock Developments created Windsor Commons on Sydney Avenue immediately south of Devonshire. 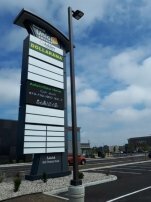 And now the company’s latest development is the Shoppes at Union Square, immediately south of Windsor Commons on Division Rd. but tied together through common entrances sand parking lots. You know who the group is that was chosen to build the new Gordie Howe International Bridge. But here are several interesting facts about the new bridge, construction of which is expected to – finally – get underway in early fall. 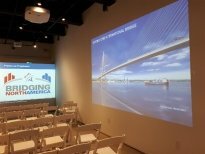 •	The preferred proponent, Bridging North America, seemed to have the best creds for the project, which will be the longest cable-stayed bridge in North America. That’s because various companies in the consortium are currently building Montreal’s new Champlain Bridge, two bridges in New York State, the Toronto Eglinton Crosstown LRT and a new Montreal rapid transit system. They’ve also completed work on the eastern span of the San Francisco-Oakland bridge, damaged in an earthquake. Luis Mendez has bounced back – big time. The owner of True Fitness, the man who originally wanted to open a fitness studio in what was former retail space in the Pelissier Street parking garage, is doing quite fine – and in a new downtown location – thank you very much. Mendez had sought to move into the garage space, which was long vacant and which the City of Windsor over the past year finally closed to convert back to its original parking use. For the first time Windsor will play host to almost 30 pieces of art by famed pop artist Andy Warhol. The exhibition runs June 2 – Sept. 30 at the Art Gallery of Windsor. Art gallery curator Jaclyn Meloche travelled to The Andy Warhol Museum in Pittsburgh to obtain the art, which will be shown at the AGW and no other museums outside of their Pittsburgh home base. The Windsor Jewish Film Festival will be expanding into the educational realm though details at the moment remain slim. 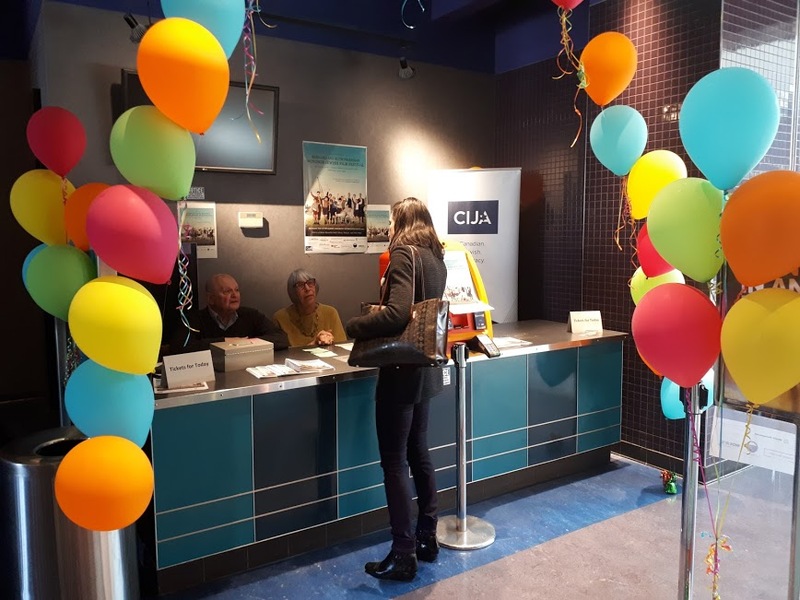 “Stay turned,” Windsor Jewish Community Centre executive director Jay Katz said towards the end of last week’s film festival, which drew increased numbers and an increasingly diverse audience. “We’ve received some funding for educational programming,” Katz said. Windsor and Detroit made a joint submission to Amazon to be the home of its second world headquarters but you’d never know that from the video submitted to the retail behemoth. The 3.35-minute video Move Here Move the World has plenty of fast-paced, slick images of the Motor City. But it’s almost exclusively about the Motor City across the river, not Canada’s motor city. The Windsor Detroit Firefighters Memorial, which would be one of the largest and perhaps most poignant memorials on the riverfront, remains on hold five years after it was sculpted. Part of it is on display at the Children’s Safety Village in Forest Glade. More parking spaces are coming to downtown Windsor. And, in what might seem a departure from some urban thinking that calls for less cars and more people on downtown streets, the City of Windsor is doing the opposite. With a new Ouellette Avenue streetscaping project that got underway this week and will last until fall of 2018, more parking spaces will be installed where there is no parking now. Live streaming of city council meetings is coming to city hall, eventually. The city clerk’s office is in the process of converting its paper documentation to electronic files as part of a major project to have city hall go mainly paperless. As part of this plan the city has every intention of making available city council meetings to people who don’t have cable TV or access to Cogeco Cable 11, which for decades has covered council deliberations live. The Downtown Windsor BIA has so far raised just over $4000 in the seven weeks since it launched its campaign to raise money for a city Freedom of Information request. The BIA’s GoFundMe campaign’s target is $13,700 and to date $4,066 has been raised, a difference of $9,634. And virtually all the 51 donations were made a month ago, according to the website. Another piece of the bicycle wine route along County Rd. 50 has been completed, but there are still several stages to go before full completion likely in a couple of years. Last week a segment between Colchester and Oxley, on the highway’s south side, was finished. And work is progressing this summer going in the opposite direction, west from the urban part of Kingsville. County tourism officials have long been hoping that the narrow and picturesque road will turn into a cycling tourism destination. Windsor International Airport is expanding its parking lot to make room for more people who are discovering the easy-to-access, low cost terminal. The long-term lot, which currently has 600 spaces, will be expanded initially by 66 spaces and eventually to as large as 765 spaces, all within the same foot print. 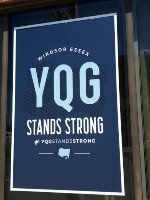 The City of Windsor pays big bucks to The Windsor Star to publish its municipal ads and notices. In 2016, the city paid out a total of $388,415.16 to Windsor’s only daily newspaper. An Essex family says they have met with no success in getting their landlord to remove a serious mould problem in the non-profit housing unit where they have lived for more than a year. The landlord is Essex Non-Profit Homes Inc., which is often mistaken as being a municipal agency but is not. 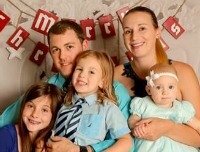 Allison Deneau (pictured with family above), who suffers serious allergies, has had to abandon the home with her three children because the mould is so severe. The two major local electricity utilities have disconnected less than 100 residential customers in recent months for non-payment of bills, a practice that is being outlawed with passage of provincial legislation this week. EnWin, which serves Windsor customers, had 39 customers without service at the time of the law’s passage Wednesday. 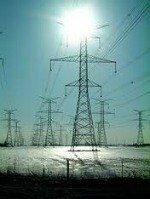 Essex Powerlines, which serves four major county municipalities, disconnected 22 customers over November, December and January, five of which remained off the grid as of today. Toronto developer Henry Tam has a plan to cash in on the growing post-secondary campuses downtown – apartments for students. He’s in the process of converting two buildings and likely a third that will bring more than a couple of dozen apartments on to the market. 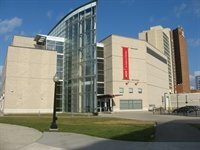 They’re located either right across the street or within a block of University of Windsor downtown campus buildings, including the social work school, and the new combined music and visual arts school. If you want to open a dance club anywhere in the city other than downtown you need to get special permission. That’s because the City of Windsor mandates that entertainment lounges, another term for dance clubs, can only be located along Ouellette Ave. between Riverside Dr. and Wyandotte St.
Balraj Jhawar, who co-owns Gourmet Emporium on Wyandotte St. E. with his wife Chantal Jhawar, found out the hard way. The provincial government is working on a plan to distribute potassium iodide (KI) pills to people living close to Michigan’s Fermi II nuclear reactor, particularly residents of Amherstburg. “There’s no definite time for distribution right now,” David Jensen, spokesman for the Ministry of Health and Long-Term Care, said. An iconic building along Windsor’s riverfront and in trendy Walkerville has finally been sold. The Hiram Walker Power Building, once the home of numerous artist studios, could become something like that once again, as local purchasers closed the deal for the $895,000 property in November. The prices of online and over the phone tickets for the WFCU Centre are coming down. Ticket purchases had been turned off by the handling fees to purchase tickets to Spits games and other events, according to a report from arena manager Ray Mensour. It might be called artistic flexibility or simply great talent. The woman who for years oversaw the city’s high profile public murals project has switched to sculpture and, almost from the start, is having her pieces accepted throughout North America. Her latest installation is at Grand Rapids, Michigan’s famous ArtPrize, the world’s biggest public art exhibition featuring thousands of works from artists around the world. Have downtown campuses had desired urban renewal impact? It has been almost 10 years since the city’s post secondary institutions began decentralizing into downtown Windsor as a way to boost city centre renewal. But sometimes it may be hard for an observer to see just how much the effort has borne fruit. The University of Windsor is moving ahead on what it hopes will be a major new campus building which will also be part of the renovation of the 1960s-era Essex Hall (left), which houses science and engineering studies. The university has called for “prequalification” submissions from contractors for what it’s calling its new Science Research Innovation Facility. A prominent city developer has pulled out of a plan to purchase the venerable Hiram Walker Power Building at Devonshire Road and Riverside Drive. Peter Valente, president of Valente Development Corp., said there was “too much uncertainty” over development of the site, which has long remained vacant after a period when artists used the building for studios. A major financial institution is decamping from the downtown. The province's largest credit union is moving its sole local branch from the city core to the EC Row Expressway/Howard Avenue, Devonshire Mall/Roundhouse Centre commercial axis. 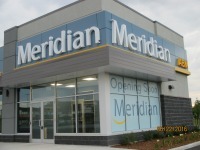 Meridian credit union, with headquarters in St. Catharines and which has more than 250,000 members and $13 billion under management, will be moving into a higher profile but slightly smaller branch in a newly built commercial pad at the Roundhouse Centre July 25. 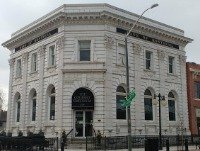 The same company that has worked on Ottawa’s Parliament buildings and Toronto’s Old City Hall got the contact to repair the venerable Paul Martin Building in downtown Windsor. 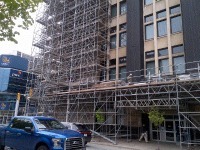 Scarborough-based Colonial Restoration will start the repair job after the Victoria Day long weekend as huge scaffolding continues to go up on the building, which used to serve as a post office and contain other federal offices. Municipalities across the province will have to fork over hundreds of thousands of dollars for new emissions tests. New rules beginning January 2017 remove vehicles such as vacuum trucks and street sweepers from construction or so-called Road Building Machine (RBM) classification and designate them under Commercial Motor Vehicle. You’ll be able to legally walk along several street blocks, beads around your neck and booze or non-alcoholic drinks in hand, during a brand new festival that will take place in the city in June. 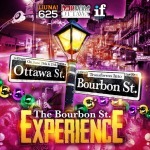 The festival will mimic the atmosphere of Mardi Gras in New Orleans and is called appropriately enough The Bourbon Street Experience. The event will run Friday and Saturday June 24 & 25 when a part of the Ottawa Street business district will be blocked off and turned into a giant street party. First there was the auto industry, then the casino business, and the next wave of economic diversification is expected to be health sciences. That’s the hope of several groups – including universities, hospitals, small business, and development agencies – seeking to create a so-called Cross Border Health Corridor. Drawing on the strength of an already large pool of skilled labour in engineering and manufacturing, and widespread academic research, “we want to diversify into life sciences” and a whole new industry, says Deborah Livneh (pictured), who’s heading up the project and is Entrepreneur-in-Residence at WEtech Alliance. Transit Windsor’s bus fleet is now almost entirely accessible. That means people with mobility issues will be able to travel easily on the so-called “low floor” buses, which were first introduced into TW’s fleet in 1997. A report to the city’s environment, transportation and pubic safety committee says there will be only “two remaining high floor buses” in the fleet or the kind that required three steps to enter or exit. Motorists driving south for March Break might want to take notice of a major road closure along I-75. 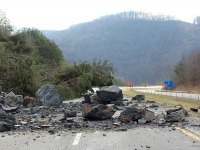 Due to a rock fall Feb. 26 in Tennessee’s Campbell County, just south of the Kentucky state line, the Tennessee Department of Transportation (TDOT) has temporarily closed both south and northbound lanes. Ceasars Windsor continues to rank among the top 25 theatre venues in the world in 2015, according to Pollstar, which tracks concert ticket sales. Last year it ranked #22 with 216,165 paid attendance. It was the top theatre in Canada for ticket sales. The next Canadian venue which sold the most tickets was the Southern Alberta Jubilee Auditorium in Calgary, with 146,707 sales. 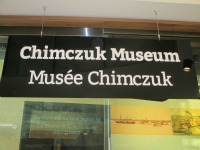 The finishing touches are being put on the city’s new museum named after its benefactor Joseph Chimczuk. Most of the displays are in place and new signs erected for the separate entrance to the museum as well as Art Gallery of Windsor, which shares the same building. A new film about the high profile death of a local 18-year-old will “expose” those behind the official report of the cause of Emily Bernauer’s (left) death. “The idea is to make sure we expose the people that didn’t tell the truth and making sure that the people who are responsible are going to be exposed and people need to know and see the truth,” Emily’s father, Christian Bernauer, said. Following on last September’s theatre release of Angel Baby, a biography of Emily Bernauer, will be the documentary The Cost of Truth, currently in production by Emily’s brother, C.J. Bernauer, who also produced, directed and edited the first film. The venerable Windsor Club is recreating itself with a new waterside presence and opening itself to the public in a way that it hasn’t before. The club, long an organization for the area’s business elite perched atop the CIBC tower downtown, has moved into the Wiser Reception Centre, part of the Wiser/Hiram Walker distillery complex on Riverside Dr. East. A new dark-coloured bus bench making its appearance on city streets not only ads a bit more comfort to waiting for the next bus but is designed to resist graffiti and vagrancy. The so-called Lexington Bench is part of a major order for new benches and bus shelters recently contracted by the City of Windsor for some 800 sites where there is “street furniture” such as benches, shelters and waste receptacles. The longstanding free first hour of parking at Windsor’s municipal downtown parking garages is coming to an end effective January 1st. That was a surprise to Larry Horwitz, who heads the downtown business improvement association, and who was caught off guard, saying the decision is a violation of an understanding his group had with the city. The first interior hi-tech navigation system for blind and sight impaired people at a Canadian university is coming to the University of Windsor. Next week the university hosts an open house on BlindSquare technology. “The University has digitally mapped out pathways and building entrances to customize the outdoor travel experience for blind students,” David Best, a St. Catharines-based accessibility IT specialist and disability activist, said. The number of Syrian refugees coming to Windsor could be between 160 and 200, according to initial figures discussed between city and senior government officials. But that number is far from certain and the refugee settlement process is “very fluid,” said Jalena Payne, the city’s commissioner for community development and health. “We have heard everything from 160 coming to Windsor to 200 if they base it solely on per capita,” she said. The Windsor Star converting to major new format "very soon"
The Windsor Star may have inadvertently today revealed online a mock-up of its new format. And a spokeswoman for the Star’s parent company, Postmedia Network, confirmed the newspaper will definitely be converting to a much changed look. Postmedia has been converting its dailies in other cities to a rather uniform new format which features a top corner block logo with the paper’s name, removing the paper’s traditional - and time honoured - mastheads. Windsor-based Valiant International has opted for suburban Detroit over Windsor as a location for a new US $33 million plant. The Michigan Strategic Fund, a state agency, is expected to approve a $2.4 million incentive grant as early as today. The 187,000 sq. ft. plant will be located in Auburn Hills after Valiant purchases an existing building in the city located north of Detroit. Major lack of staffing is being blamed for border delays for motorists and truckers coming into Windsor. The union representing Customs officers who staff the booths and secondary inspection plazas say the Windsor-Detroit border is short as many as 40 staff. “There’s somewhere around 40 officers missing right now, Jean-Pierre Fortin, national president of the Customs and Immigration Union, said from the union’s Ottawa headquarters, when contacted by WON.com. Don’t be surprised if you’re zipping across the Ambassador Bridge only to come to an abrupt halt a kilometre or so from the Canadian Customs plaza because trucks are blocking the car lane. 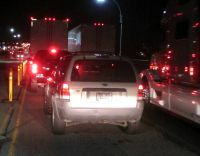 Delays in Customs’ processing trucks and resulting trucker frustrations have truckers thinking they can get ahead by moving out of their designated right lane and into the left lane reserved for cars, only to get stuck there, delaying motorists from reaching the plaza. Don’t fear, Essex County residents. Once the new mega hospital is built you won’t be forced to lose time by driving out of your way into central Windsor to go to the new emergency Urgent Care Centre (UCC). Despite an emphasis on emergency care at the innovative UCC at the old Grace Hospital site on University Ave. W., if it’s more convenient, residents still will be able to access the emergency department at the new mega hospital, planned for County Rd. 42 across from Windsor airport. 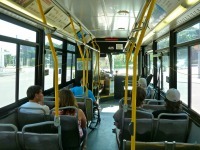 Transit Windsor may look like any other Ontario transit system but it’s not. It has 112 buses running on 13 routes covering 121 square miles, overwhelmingly in Canada. 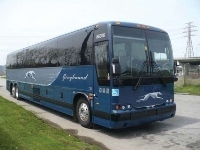 But because it operates just one bus route - the Tunnel Bus - across the border to Detroit, it makes all the difference in the world, at least for how the system is governed. 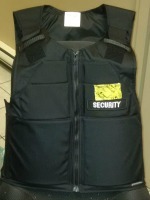 Visitors to Windsor Regional Hospital may be taken aback to notice the bullet proof-like vests worn by security staff, similar to those worn by law enforcement officials. After all, hospitals aren't known as places of violence, are they? According to hospital staff the vests are a "proactive" measure. And they’re not bullet proof, and therefore not the same as the vests worn by Windsor’s Finest or those worn by Canada Border Services Agency personnel. The exchange rate might be highly favourable to our friends across the border but local agencies tasked with attracting shoppers and investment aren’t exactly putting the issue on the front burner. The dollar is trading over 80 cents but until recently was in the high 70 cent range, making travel to Canada for shopping and dining out a huge bargain for the more than four million people who live in the metro Detroit area, as well as many living further but in day trip range. A Windsor woman has to raise more than $7000 to bring her dead husband back from Cuba or else the body won’t be returned. Erica Browne‘s husband Steven Sullivan (pictured left) was vacationing in the island state with friends when he died suddenly of a pulmonary edema Feb. 18. There is no government assistance to help Browne in this unique and tragic situation so her family had to set up a page on the Go Fund Me website - http://www.gofundme.com/noi9ac - seeking money to pay the Cuban government to release Steve’s ashes. Contrary to popular belief it’s sometimes cheaper to fly from Windsor to Europe than it is to fly from Detroit. For example, fares - all in US dollars - advertised on discount travel sites to European destinations consistently show flying from Windsor through Toronto are hundreds of dollars cheaper than flying out of Detroit Metropolitan Airport. Example travel dates shows that a return fare May 12 - 16 from Windsor to Frankfurt on FlightHub starting at $842, on Orbitz $1017, Cheap Tickets $1010, Priceline $1010 and One Travel $854 and Smart Fares $841. Community Care Access Centre case managers who went on strike January 30 are being paid upwards of $42.85 per hour. Education facilitators and wound care specialists at the highest level - level 6 - make $44.13 per hour. And nurse practitioners at the highest level earn $59.74 an hour. Ontario’s new PlayOLG gambling website isn’t expected to negatively impact Windsor’s casino. PlayOLG came on line in January and offers consumers Internet gambling - everything from buying lottery tickets to playing the slots and Blackjack. One might think this would be an example of the Government of Ontario, which runs the website, cannibalizing its own traditional gaming industry, such as encouraging people to physically buy lottery tickets or personally visit casinos, which the province regulates and profits from. Ontario is banning smoking in all Ontario outdoor bar and restaurant patios effective January 1st with one exception: the Royal Canadian Legion. The update to the Smoke-Free Ontario Act explicitly states that “all bar and restaurant patios, whether covered or not” will be subject to the ban, which has proved controversial in some quarters. One of the most iconic – and controversial - symbols of recent political protests is for sale at Indigo’s suburban Lakeshore store. 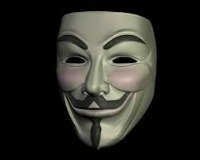 The Guy Fawkes mask has become a common sight worn by protesters at rallies from Quebec student anti-tuition demonstrations to the Occupy movement and beyond. Despite more than a dozen US states refusing to purchase guardrails from a Texas manufacturer the Ontario Ministry of Transportation continues to purchase the products but is monitoring a U.S. probe into their safety. Thirteen states including Michigan will no longer purchase the guardrails from Trinity Industries of Dallas. And the state of Virginia says it will actually remove the barriers because of safety concerns. While parts of Windsor, including downtown, are festooned with large and attractive murals telling stories of the city’s history, two prominent ones have been taken down and are seemingly orphaned, at least for the tome being. 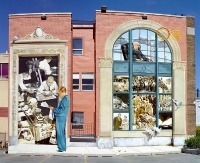 The murals, part of the successful Postcards from Home program which employed local artists through a federal government job creation program in 2005, used to be prominently displayed on the iconic Windsor Star building on Ferry Street downtown. Two important organizations that advocate for women’s rights continue to use the Caboto Club, which restricts women’s membership, even after a local woman went public earlier this year calling out the club for its male-only status. The Canadian Federation of University Women (CFUW), one of whose purposes is “the advancement of the status of women, human rights	and the common good,” recently booked a mayoral debate Oct. 1 at the club in central Windsor, perhaps the city’s best known and most well used venue among banquet halls for public and private meetings and conferences. Is there a wall of community mailboxes in your future? It might be mailbox overkill. Mailboxes like you haven’t seen before could be coming to streets and neighbourhoods near you. Some of the first pictures of Canada Post’s new urban mailboxes aren’t a pretty sight and may spark considerable opposition by residents once they get to see exactly what the boxes look like, according to the union representing postal workers. Mike Tessier says if elected mayor he’d donate 25 per cent of the mayor’s base salary to social agencies. “That’s why I made a promise – and it’s one of the few promises that I will deliver on – that if I’m elected mayor I want to donate a minimum of 25 per cent of the mayor’s base pay to places like Goodfellows, Mission, Salvation Army,” he said. 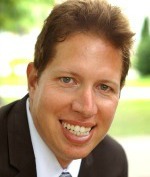 Tessier has been a fixture at council meetings for well over a decade. 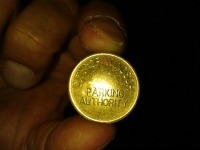 One way to beat the parking meter blues is through City of Windsor - issued parking meter tokens. And city business improvement areas (BIAs) have been helping merchants plug meters - for free - for customers who may not have change or need more time. The shiny golden coloured tokens have been around for years although some BIAs are more aware of them than others. 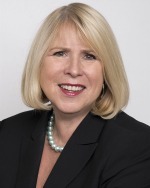 London North Central Liberal MPP Deb Matthews says she will make special efforts to represent deep southwestern Ontario in the provincial cabinet following the defeat of the area’s only Liberal, Windsor West’s Teresa Piruzza. Matthews may be two hours up the highway but she says that won’t prevent her from having Windsor and Essex County’s greatest interests at heart, despite the fact there is no Liberal MPP between here and her constituency. A little bit of upscale fashion is now in Windsor. A new boutique has opened at Hudson’s Bay Company’s (HBC) Windsor store: Lord & Taylor. The fashionable U.S. brand, purchased by HBC in 2012, has parlayed Lord & Taylor’s soft goods – such as clothing – into boutiques at select Bay stores across Canada. 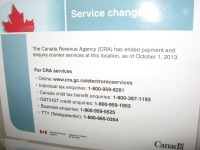 Windsor’s downtown tax office has closed its counter services. 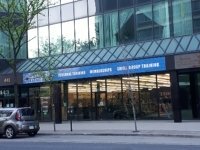 The office on Ouellette Ave. located near the doorway of the Paul Martin building, was in fact closed last October, and used to serve people looking for paper forms, and advice, as they prepare their income taxes. According to downtown promoters the closure is another nail in the coffin of the venerable Paul Martin federal building, which already has a years-old construction hoarding around it to protect pedestrians from falling building debris. Both the Catholic and public French schools board are desperately seeking more classroom space and funds from the government to expand. “They’re beyond capacity,” Joseph Picard, education director for the Conseil scolaire catholique Providence, which runs Catholic schools in southwestern Ontario. The exceptions are “one or two schools that have a few empty classrooms” in “the further parts of Essex County, so more towards Chatham area,” he said. 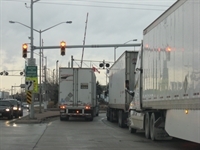 Truckers trying to look for speedy access to the border have been holding up traffic generally along Huron Church Road, sometimes considerably in terms of distance and time. Most trucks heading to the border stay in the centre of three north bound lanes leading to the Ambassador Bridge. But when traffic builds, often in late weekday afternoons, it becomes a frequent occurrence for truckers to jump the queue, cutting into the lane beside the median used predominantly by regular motorists, and which leads directly to the Ambassador Bridge ramp north of College Ave.
Perhaps surprisingly, a substantial number of students showed up at schools this week. Windsor Essex County may have had the worst weather in 20 years Monday and Tuesday but schools remained open even if school buses weren’t running. That resulted in some parents complaining. “We’ve had some concerned voices,” agreed public board spokesman Scott Scantlebury. The Maroun family has again failed in bringing a legal challenge against the new government-backed Gordie Howe bridge. The family, which owns the existing Ambassador Bridge, had challenged the Michigan government’s decision to condemn (expropriate in Canadian terms) properties they owned for public use as part of the Gordie Howe International Bridge’s Detroit land footprint. Crain’s Detroit Business last week reported that Chief Judge Robert Colombo Jr. of Wayne County Circuit Court rejected 15 legal challenges brought by the family, ranging from questioning traffic projections for the new bridge to the state’s legality in acquiring the 20 land parcels without legislative approval. The decision means the state will finally take possession of all 636 parcels of Detroit land needed for the footprint. The properties in question range “from tiny one-time residential parcels to one-third of the 42-acre Central Transport trucking terminal on Jefferson Avenue,” Crain’s reported. The bridge company says it will appeal. County to paint over River Canard Bridge "tagging"
Dwight Duncan, chair of the Windsor-Detroit Bridge Authority (WDBA) doesn’t use the Ambassador Bridge. The former Windsor city councilor, provincial government minister and spokesman for the authority building the new Gordie Howe Bridge, yesterday told reporters the Ambassador Bridge, for him, no longer makes the cut. “I for instance avoid using the Ambassador Bridge now, not because what we’re obviously competing on but just because of the slowness and the problems with it,” he said following the announcement that a builder has been chosen to construct the new bridge. Duncan also said the bridge won’t be deterred by continuing lawsuits from the family that owns the rival Ambassador. There have been 25 so far all of which the Marouns have lost. A further one goes to court this month. “We won’t be slowed down by the family you mentioned or by anyone else,” he said. The University of Windsor advertised over the winter on two large billboards in Detroit. They featured the slogan “Future Full of Promise” and showed a closeup of a smiling female student in athletic uniform. One of the billboards was located just past the Ambassador Bridge along I-75 at Vernor Hwy. “heading into downtown,” according to university spokesman John Coleman. The other was at M-10 (Lodge Expy.) and Wyoming Ave. Coleman didn’t have a specific cost for the billboard campaign but said it was “just part of our overall efforts.” He said billboards may go up again next winter. A goal of former Windsor Mayor Eddie Francis, which may have seemed a pipedream at the time, seems to be bearing fruit - if not in Windsor, then certainly elsewhere. Francis had sought the Chinese electric bus company, BYD (Build Your Dreams) to open a North American manufacturing plant in the city. He travelled to China several times to lobby for the facility. But not only did Windsor not get the plant – at least one factory was constructed in California – but the city didn’t get some buses to try out on area streets. These went to Quebec. That was back in 2013. But a story in Bloomberg Financial last week indicated that BYD’s buses, which were once considered something of a “joke,” since that time have become a runaway success. 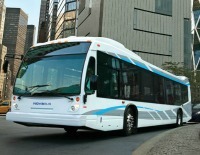 The company has already built 35,000 buses and has the capacity to build 15,000 a year. The first fleet started in the Chinese city of Shenzhen in 2011. As of December, all of Shenzhen’s more than 16,000 buses are electric. Major cities around the world are also showing interest in electric. The United Kingdom already has more than 300 electric and hybrid buses on the road “and BYD hopes to be picked to supply more,” Bloomberg says. Attention all Windsorites who also have American citizenship – your anger and pulling-the-hair out frustration at filling voluminous forms to pay tax on income earned in Canada may soon be over. 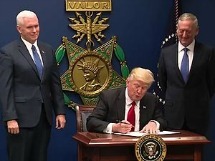 According to Charles Bruce of American Citizens Abroad Global Foundation, the US Congress is mulling changes that would end the archaic and, for any country, almost unique, practice. (Eritrea does the same.) The change might come with the current massive tax reform bill, which would also see a major reduction in US corporate income tax from 35 to 20 per cent. US citizens, including those with dual citizenship, who are legion in Windsor-Essex County - many have lived here all their lives - “would only have to pay tax to the country where they live.” Attempts to change the law have been ongoing since 2016 and if they don’t pass with this bill, expect to see an effort in the next round of tax reform. Don’t believe all you read in the newspaper, especially if it’s a letter to the editor. Such is the case with a letter published in The Windsor Star Aug. 11 by a couple of supposed fans of the Windsor Spitfires – Jordan and Jerry Whiteman. The Whitemans took a backhanded slap at Windsor’s OHL team by “congratulating” the team on its Memorial Cup victory and then criticizing it for yanking their VIP Lot 1 parking pass. They referred to their son who has “special needs” and problems walking. “Last year, Spitfires management chose to take away this parking spot,” they wrote. “After over 60 years, we are forced to cancel our season tickets, but the team will always be No. 1 in our hearts.” But the letter is erroneous. WON.com couldn’t find a listing of such individuals. And Spitfires’ spokesman Dave Ducharme said “the Whitemans have never had a VIP Lot 1 pass.” Also, the Spitfires have only existed since the 1970s, not 60 years. That red construction crane in the middle of the University of Windsor campus is building what’s known as the Science Research and Innovation Facility. Outgoing U of Windsor president Alan Wildeman called it an “exceptional” building that will be home to three types of research: advanced materials such as nano (atoms and molecules) technology and biometrics, “translational” health, or transferring lab discoveries to practical “bedside” use with special emphasis on cancer, and “medical physics” such as imaging and diagnostic technologies. The accent is on collaboration with the labs having an open concept design with transparent glass walls to enhance group research. The building, next to Essex Hall, will be 46,000 sq. ft. and will open next spring. The City of Windsor has put out a tender for demolition of the Pelissier St. parking garage’s ground floor commercial units. A tender notice appears in the June issues of Daily Commercial News, which reports on the Ontario construction industry. Construction start date is slated for August 14. A walk through for interested bidders was June 21st. The city describes the work as: “demolition of the existing grade level commercial units and construction of a new 43 space asphalt parking lot…” The work’s “scope” includes construction of a new lot with “drainage, new decorative wall and fence and curbs.” The Downtown Windsor BIA launched a campaign to save the eight commercial units. The units, originally constructed by a private developer in the 1980's, for several years went largely unoccupied or underutilized and for which less than market rents were being paid. Critics said the city was abandoning good urban planning where future retail would attract more pedestrians and street life. Windsor is getting another hill. Not as big as the toboggan run at Malden Park – a former inert waste landfill - but in a city as flat as a pancake it’s maybe nothing to sniff at. Once EnWin utlities’ second reservoir is completed (photo above) by the end of the year the once and future George Avenue Park will have a different topography. There will be a berm on it. That’s because the new 35 million gallon reservoir will be both three metres under and three metres above ground. “We’re going to reinstate a park of some sort over it so there will be some public use,” EnWin director of water engineering Norbert Poggio said. “The berm might even enhance how the park flows.” Neighbours were consulted about the reservoir and “so far they’ve all embraced it,” the official said. “And all in all I think it’s going to be a betterment to the neighbourhood because they’re going to have a new park. Instead of looking at buildings and traffic they’ll see a nice green berm in their backyard.” EnWin is building the second reservoir to increase water capacity and as a backup to the larger 65 million gallon reservoir across the street. Slip and fall accidents that have plagued the City of Windsor declined sharply in 2016, to 28 from as many as 82 in 2014. But costs continue to rise. The city says the decline is because of the exceptionally “mild winters” of late. Meanwhile, trip and falls totalled 39; they were as high as 54 in 2012. The city, in a report to council, says these occurred mainly on sidewalks and trails, and over the years have remained “somewhat consistent.” Altogether last year there were 683 claims against the city, 401 related to flooding that occurred Sept. 29th. That left 282 claims, “the lowest number of claims received in the last 5 years.” There were only 13 sewer backup claims not related to Sept. 29th. Sewer backup claims declined, "likely the result" of the city's basement flooding protection subsidy aimed at flood reduction. Bodily injury claims were also down to 12 from 25 the previous year, mainly from injuries at city parks and rec facilities. The decline reflected "a greater focus on risk management." Nevertheless, claim costs are on the rise. Last year costs amounted to $4.1 million whereas they were about $1.5 million in 2010. These reflected incidents that occurred in 2013 and 14. “These types of incidents typically result in severe injuries attracting litigation and larger payouts." In 2015, 14 of these claims settled for over $50,000; in 2016 there were 18. In 2015 the average settlement was $78,206 and in 2016 the average was $112,328. Pupatello to rescue a sinking Liberal party? Former Liberal cabinet minister and party leadership candidate Sandra Pupatello, of Windsor, has been mentioned as a replacement for current Liberal Premier Kathleen Wynne, who’s party is low in the polls and besieged by its hydro rate policy. The Toronto Star Queen’s Park reporter Robert Benzie mentioned several replacements for the sinking premier, should the party turn on Wynne to maintain its grasp on power. Included is Sandra Pupatello, “who has the advantage of having quit politics after losing the leadership to Wynne in 2013 and thus can’t be blamed for anything that’s followed,” National Post columnist Kelly McParland wrote in a follow-up. Taking over the party’s reins would be sweet for Pupatello, a powerful minister who held several portfolios under former premier Dalton McGuinty. She ran for the party leadership but lost to Wynne in a combative 2013 convention. 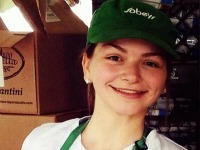 When asked by WON.com for comment, Pupatello said: "I didn't see that story, I did see the TO Star this weekend. I'm not sure why or what people are saying out there, I'm a working stiff!" 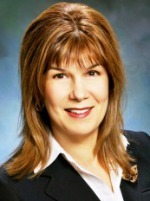 Pupatello currently is Strategic Advisor: Industry, Global Markets & Public Sector, at PricewaterhouseCoopers in Toronto. Windsor’s new city hall, expected to open in just over a year, will have uber transparency, according to the city’s manager guiding the project. “Because you are a municipal government, you are a democracy, and you want transparency, this is a public meeting, this is where government meets,” said Wadah Al-Yassiri. The new chamber will be open to a spacious atrium, which doubles as the city hall entrance and faces the expansive civic plaza with views northward to the river. It will be two stories in height. In the chamber, the number of seats will almost double from the current chamber's maximum 70, to 120. They’ll also be on a slight incline to give the public clear views of the mayor, councillors, and administrative staff, who in turn will be spread out along a slight arc facing the audience. The current council chamber is U-shaped, and the councillors and audience all sit on one level. In addition, the new chamber will have an according-like glass door that can be opened to the atrium. So even if it’s closed the public and see in. And when it’s open additional seats can be placed to accommodate overflow crowds. Even if spectators are on the outside of the building, they can still peer into the council chamber through the ground-to-roof windows at the front of the building. That might be good exposure for, say, protesters marching outside who can see in and be seen by the audience and council. Michigan businesses that employ Canadian residents wouldn’t be discriminated against if a bill in the Michigan Legislature is passed. The bill would allow businesses to obtain grants, loans and other incentives under the Michigan Business Development Program, if they employ out of state or Ontario employees. 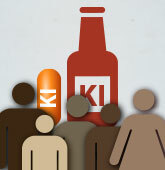 At present only businesses that employ Michigan residents are eligible for the incentives. The bill, which has passed the Senate and now moved to the House, is specifically aimed at Michigan counties that border jurisdictions like Ohio and Ontario. The Party Wall by Montreal author Catherine Leroux and published by Windsor's Biblioasis International Translation Series - translated by Lazer Lederhendler - has made the 2016 Giller Prize shortlist. The writer is up against five other authors - and books - for the grand prize to be announced Nov. 7 at 9 pm. The prize gives $100,000 to the author of the best Canadian novel or short story collection published in English. Finalists win $10,000 each. "Lyrical, intelligent, and profound, The Party Wall is luminously human, a surreally unforgettable journey through the barriers that can both separate us and bring us together," Bookfest Windsor says. The author will be at Bookfest this November. Besides Leroux, another Biblioasis author made the Giller longlist, announced earlier. That was Kathy Page's story collection The Two of Us, published by A John Metcalf Book, an imprint of Biblioasis. Last year, Biblioasis was triple-longlisted for the Giller, with two writers (Samuel Archibald and Anakana Schofield) making the short list. No smoked-filled rooms on the agenda but a top marijuana regulator will speak to politicos here later this month. Also, Ontario’s three senior political leaders will be in Windsor for the annual Association of Municipalities of Ontario (AMO) conference. 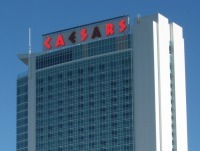 Premier Kathleen Wynne, Opposition Leader Patrick Brown of the Progressive Conservatives, and Andrea Horwath, leader of the NDP, will be speaking at Caesars Windsor on Monday Aug. 22, the conference’s first full day. Three other government ministers will also be speaking including Environment and Climate Change Minister Glen Murray, who will talk on how carbon cap and trade will impact municipalities. Ashley Rea Kilroy (above), executive director of marijuana policy for the city of Denver, CO., will tell delegates - made up of municipal politicians from across the province - how her city “tackled marijuana regulation, enforcement and education,” according to the AMO conference agenda. Windsor last hosted the conference in 2010 and Tecumseh Mayor Gary McNamara is AMO president. Cyclists have long appropriated pedestrian sidewalks. But in the rural village of Colchester riding on the sidewalks is perfectly legal, since the sidewalks have been converted to bike/walking trails. The only change from the existing gray concrete was they were repainted – about two years ago – to light green and have cycling and pedestrian logos painted on them. The bike lanes are the first along County Rd. 50, which is an increasingly busy tourist route serving the region’s fast-growing wine and agritourism industries, and where cycling is being encouraged. 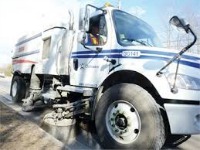 While the narrow road has long been slated for bike lanes Essex councillor Larry Snively says there isn’t sufficient shoulder width along the rest of the route as far east as Kingsville and west towards Amherstburg. But at least in Colchester there were existing sidewalks which could be converted. “It was because of the width of the paved road itself, we never had enough space,” Snively said. Essex County has a plan to roll out extensive cycling-pedestrian routes over 20 years. Based on its County-wide Active Transportation Study (CWATS). Full implementation of more than 700 km of routes would cost just over $50 million, paid for largely by local municipal and county governments.....UPDATE: July 12: CWATS tells us: "The construction of the additional paved shoulders on CR 50 from Islandview to Holiday Bluff (east of Colchester) are expected to start at the end of July 2016. The shoulder width will be 1.5m each side." Southwestern Ontario’s leading natural gas supplier says it will cost homeowners as much as $3000 more per year to heat their homes if the province makes good on its climate change policy. The Globe and Mail this week published a leaked copy of the Climate Change Action Plan. The plan would eliminate natural gas as an option for new homes by 2030 and all buildings by 2050. Yet 80 per cent of homes and businesses now use natural gas. Union Gas says the policy would lead to a non-growth strategy because new home and commercial developments, seeking to use cheaper natural gas, would be sidelined. The plan would also place businesses “at a disadvantage relative to surrounding” states and provinces with which they compete. The reason for the cost increase is because of much more expensive electric heat. But Union Gas also plugs its own industry, saying the government should target the “largest source of emissions – vehicles” and have them use “cleaner and less expensive” natural gas. The former Million Dollar Saloon on Chatham St. E. has been sold. 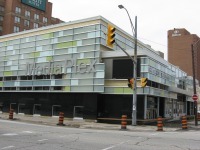 Windsor Business magazine reports the building, which has been partly modernized to be converted to what was supposed to be a new health centre and lend itself to downtown revitalization, has been sold to a company called Winthorp Valentine Inc. The sale was valued at $1.3167 million. The vendor was 38-44 Chatham St. E (2012) Ltd. Kim Vangeloff, a former owner of defunct Pitt for Pasta restaurant building on Chatham St. W., as well as Million Dollar saloon, is listed as the president, director, secretary and treasurer. Bill Arvanitis, who heads Toronto-based Arvan Rehab Group, had sought to turn the building into a sports injury and walk-in clinic. The front façade was modernized and an elevator installed. Arvanitis did not return a request for comment and an attempt to reach Vangeloff was unsuccessful. The building originally was put on the market for $2.6 million, reduced to $1.9 million, and sold for substantially less. 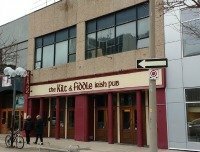 Meanwhile, next door, The Kilt & Fiddle Irish Pub closed and the space remains for lease, having been sold to Toronto’s Henry Tam six months ago, according to Valente relator Robert Peters. Tam has big plans for major commercial investment along Chatham St. The first collection of The Bard’s plays, published n 1623 – seven years after his death – will be on display in Detroit beginning March 7. The book is considered one of the most influential in the history of publishing. The First Folio contains plays “that otherwise would have been lost,” says the Detroit Institute of Arts, where the book will be displayed. These include “Macbeth,” “Julius Caesar,” “Twelfth Night,” “The Tempest,” “Antony and Cleopatra,” “The Comedy of Errors” and “As You Like It.” When displayed its pages will be opened to the most quoted lines in the world “to be or not to be” from Hamlet. “This is a once-in-a-lifetime opportunity to see one of the most influential books ever published. Shakespeare continues to have a great cultural influence 400 years after his death,” museum spokeswoman Pam Marcil said. Detroit’s highest skyscraper might seem like it’s turning into a giant billboard. It is, but only to highlight the products of the corporation that owns the RenCen, General Motors. Four years ago the company changed its fixed GM logo to LED lights to highlight various corporate brands as well as to use various coloured bands around the top of the various towers. These include “to support community events” like using orange for Tigers baseball, said GM corporate spokesman Pat Morrissey. More recently GM added “wraps” to its buildings. The same as bus wraps they advertise a product over a larger space. Currently the wraps, which take up about a quarter of the tops of the towers, are for a run up to the North American International Auto Show. “It’s also occasionally used to highlight specific product launches, in this case we’ve got the new Chevrolet Malibu and the new Colorado being highlighted,” Morrissey said. GM also does the wraps as a nod to the Detroit Grand Prix in June. “It’s very visible from Belle Isle,” where the race takes place, the official said. GM is hardly the first to use such giant wraps on buildings. “It’s been used all over the world,” Morrissey said. While one local group of activists has roundly condemned the decision to locate a new regional hospital at the edge of the city - citing issues related to sprawl - imagine the reaction had planners chosen the county seat for the location of the mega-hospital. Essex town planner Jeff Watson said his municipality had applied to host the future hospital and scored 82 per cent for meeting objectives of where the hospital should be located. “There was a lot of skepticism about what we had to offer,” he said. But given the town’s location at almost the geographic centre of the county it pretty much fit the bill as a central location. The site is on lands once owned by Mady Corp.- which sought a big box development more than a decade ago - and which are now the property of businessman Don Hearn. They’re located behind Tim Hortons, McDonalds and Canadian Tire – 85 acres at the corner of Hwy 3. and Maidstone Avenue. The Town of Tecumseh has been taken to task by the Canadian Taxpayers Federation for failing to open bidding on a contract to clean and repaint its water tank. Federation Ontario director Christine Van Geyn called it a “sweetheart” deal between the town and the company, Landmark, which originally built the tank in 1991. The town accepted an unsolicited bid of $170,000 to do the work as well as paint the town logo. Landmark has also done regular five year upkeep on the elevated structure. Daily Commercial News quoted another contractor, Alec Hunter of Toronto-based Heritage Restoration’s Sanding and Coating division, as saying, “When I asked if we could bid, I was just pushed off.” The town cites a bylaw that it doesn’t have to open bidding on contracts of more than $30,000 so long as the department director and purchasing coordinator agree. Mayor Gary McNamara said the town got a great deal though he didn’t know the job’s true market value because of the lack of open bidding. “We’re not reckless with taxpayer money,” he said. Expect an update any day on construction of Windsor Regional Hospital’s expanded nephrology program, according to hospital spokesman Ron Foster. Seven contractors submitted bids that closed late last month. The work, which was scheduled to begin in early October, will take about a year to complete. Construction will take place at WRH’s Ouellette (Hotel-Dieu) campus. To cope with increasing demand to treat kidney disease the hospital is creating additional dialysis space in the adjacent so-called Bell building (above). The hospital says its renal program has grown by 45 per cent in the last five years. Windsor cyclists who want to take part in Detroit’s increasingly busy bike touring scene - Slow Roll Detroit, for example, offers regular Monday evening events - will likely have to take their bikes to the Motor City in a car. Transit Windsor, which offers bike racks on 90 per cent of its fleet, can’t take bikes across on the tunnel bus. There are several reasons. One is requiring a licence because bike racks actually extend the vehicle’s length. Transit Windsor has such Ontario licencing but not from Michigan. As well, getting through the tunnel and into downtown Detroit requires some tight maneuvering which a longer bus makes more difficult. Finally there’s U.S. Customs “who are not overly supportive of it,” transit GM Pat Delmore says. That’s because disembarking passengers have to bring all their belongings, including their bikes, with them into the small indoor Customs inspection facility. However, cyclists can brings a bike on board the tunnel bus, so long as they keep it in a bike bag.